Lemon, one of the most popular citrus fruits, is highly versatile and owed to its refreshing flavor and aroma. It is used extensively in cooking, perfumes, tea, cocktails, and juices. Lemon also has several health benefits and medicinal values associated with it. 1. Weight reduction- Highly recommended by nutritionists, lemon water speeds up the weight loss process by improving digestion and flushing out the toxins in the body. 2. Glowing skin- Lemon consists of vitamin C that helps in rejuvenating skin and giving it a glow. Studies show that consuming food rich in vitamin C reduce the risk of wrinkle development. Also, water keeps the skin hydrated and boosts skin recovery process. 3. Detoxification- A rich source of citric acid, lemon water stimulates the body to remove toxins from it. Consuming the drink increases urination rate which aids in flushing these toxins from the system. 4. Healthy Liver- Consuming lemon water in the morning prevents fat from accumulating in the liver, making it less prone to fatty diseases. Lemon encourages production of more enzymes in the liver, improving its functionality and health. 5. Hydrated body- Dehydration can lead to fatigue and headache. Drinking lemon water will keep the body hydrated, active and keep fatigue at bay. 6. Prevents kidney stones- Consuming citric acid can reduce the probability of developing kidney stones. Vitamin C present in lemon prohibits kidney stone formation. 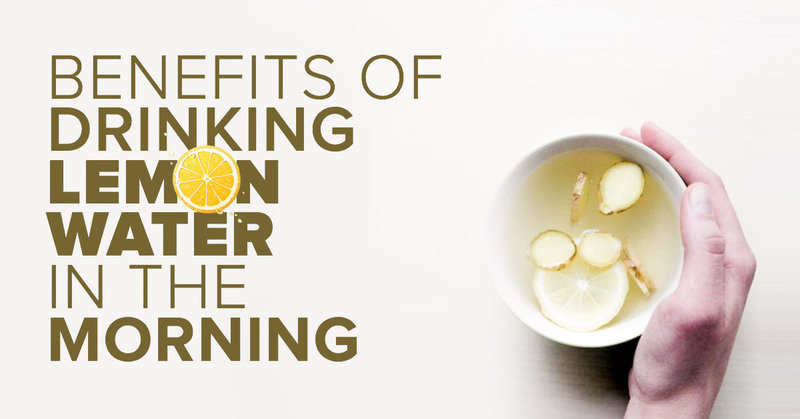 Incorporating lemon in your diet plan will reap you the benefits over time, leading to a healthier lifestyle.